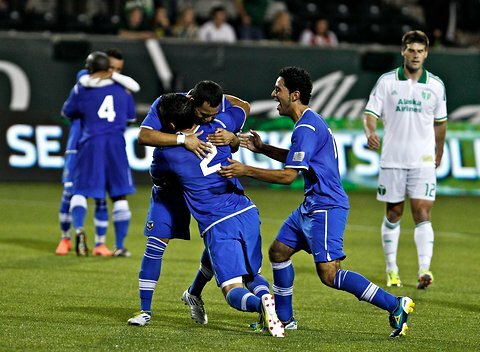 New league could pave the way for Promotion and Relegation in the United States. In November, during the week of the North American Soccer League championship game in New York City, former Chicago Fire and Indy Eleven President Peter Wilt met with leaders from the NASL and NPSL to present a concept for a new league that would bridge the gap between them. It is not rare for semi-pro or amateur teams to beat professional clubs in a one-off US Open Cup match. However, there is a significant financial and operational divide between a professional Division II, with several billionaire team owners, and the NPSL, whose clubs often come from more humble, grassroots beginnings. The proposal was well received by both leagues, but neither the NASL nor the NPSL had the time or resources to advance the plan. The task fell to Wilt and former Chicago Red Stars co-owner Jack Cummins, who are partners in Rebel Nest LLC, the group behind the Chicago NASL project. The group began working on the plan for the league between January and March 2017, drawing upon best practices from the existing professional soccer leagues. The idea was simple: create something new that incorporates many of the successful elements of existing US pro soccer leagues, while learning from past missteps, and adding in some new concepts of their own. In April, the group held a meeting with representatives from potential clubs in 17 different markets. Shortly thereafter, Wilt and Cummins formed the National Independent Soccer Association (NISA), and have since received 10 letters of intent to join. Wilt expects that the NISA will kick off in the spring of 2018, and that 8-10 clubs will be part of the inaugural season, with other investor groups expected to take the league up to 14-16 teams for the 2019 season. The intention is for NISA to top out at 24 clubs, and then participate in promotion and relegation with other leagues. Building a traditional, global style soccer pyramid with promotion and relegation between the NASL, NISA and NPSL, offers an alternative to the the MLS-USL strategic partnership. NISA is being launched with the intention of one day being involved in a promotion and relegation system, ideally with the NASL above it and a full season tier of an amateur or semi-pro league such as the NPSL operating at a fourth division level below it. However, there is no formal agreement with either league today that will bring about promotion and relegation. 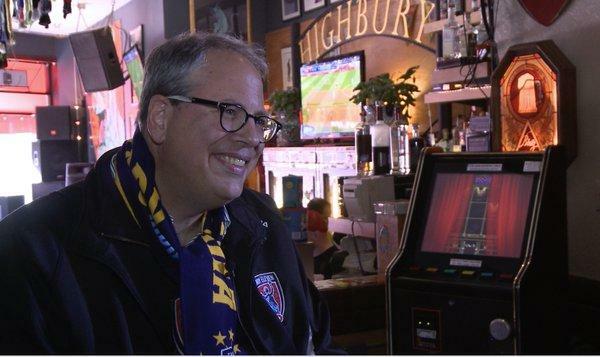 Midfield Press spoke with Peter Wilt, who shared with us the vision behind the National Independent Soccer Association. 1. Can you tell us how the Division III league came about? PJW: In November, I was at the NASL championship. I presented the concept of the third division league to both the NASL and NPSL. Both thought it was a great idea, and was needed. The idea was a link league that would eventually lead to promotion and relegation. Everyone agreed it was a great idea, but the devil was in the details. Over the next several months the focus became who would organize it and lead it, NASL or NPSL. At the end of the day both said they needed to focus on their own leagues, but each suggested that Club 9 Sports do it. Club 9 recognized that because of the nature of its business, they couldn’t lead this project. They are a consultancy and need to focus on that, without conflicts of interest. So Jack Cummins and I decided we would do it. I have pretty good experience in starting professional soccer teams. I’ve helped launch or restart ten pro teams – probably more than anyone else in history. Jack and I worked together on the creation of Women’s Professional Soccer and the Chicago Red Stars. We created Rebel Nest LLC in 2015 to invest in projects like this. One of our other Rebel Nest projects is the potential Chicago NASL team. Jack and I decided we would take the mantle and move this forward. Over the last year I’ve spoken to dozens and dozens of interested lower division investors. In some cases, Division II expenses are bigger than their financial appetite. Division III is their sweet spot investment wise and we had a good sense that there was demand for a league like this. We started making calls. In January through March, we developed the plan in detail. In April, we had a meeting of potential investors. One of the founding ideas of this league is that it is investor driven, so not only did we build the plan based on the discussions we had with many investors over the last year, but we solicited more detailed input from the prospective investors at the meeting in April. In large part, this is why all operational decisions are made by the owners of the teams in NISA. 2. What is the vision for the National Independent Soccer Association? There is some importance to travel cost concerns, but that is often overblown. The difference between a good travel schedule and a bad one usually means 3-5% of the budget. However, the regional rivalries are important. 24 teams is the ceiling. One way these teams will increase in value over time is that outside investors know that once the 24 team level is reached the only way to get a team in the league is to buy an existing team, or get in via promotion and relegation. The intention of promotion and relegation is important. We do not have any agreements with other leagues in place right now for pro/rel. We have had positive conversations with the NASL and NPSL. We realize the devil is in the details on that. We don’t project that we will become fully populated until 2020 or 2021. We believe we will have 8-10 teams in 2018, and 14-16 teams in year two. I believe it will take another year or two to populate up to 24. So we have time to work on how promotion and relegation will look. The Pro/Rel manifesto published in The Howler in January details many of the obstacles and solutions that will be pertinent to those efforts. We believe NISA sets the table for Pro/Rel. IV. Have a strong league office with quality staff supplemented by expert consultants. Currently, the plan is for Jack and I to lead the league office. We also are prepared to begin hiring key additional personnel immediately for 2018. Club 9 sports and Level 7 Interactive will act as consultants on sales, marketing, operations and raising capital. It is important that the front office has both size and quality. 3. What will the format of the league look like? PJW: In the Spring of 2018, NISA will have one conference. We have taken applications and NISA has received 10 letters of intent to join the league. A couple of those teams may wait until 2019, but nearly all of them are intended for 2018. In the first season, NISA will have one conference, but potentially two divisions. By year two, we hope to be in a position to have two conferences. As NISA fully populates, this will be a two conference league with two divisions in each conference. Geographically it will keep teams with their local rivals. We are anticipating an Eastern Conference and Western Conference where teams play only their Conference until the Championship. 4. What will the ownership structure of the league be? PJW: There will be three types of shares in the league: Class A shares, Class B shares and Class C shares. Class A shares are for team owners themselves, and they will control a majority of the overall shares. They will have 100% control over operating governance for the league. We felt this is one of the fundamental premises of the league. The Class B shares will be owned by Rebel Nest, which is a minor position in exchange for some of the initial cash investment and sweat equity Rebel Nest is providing. Class C shares are also a minority position used to fund the league office during the startup phase. Class C will be a combination of outside investors and Class A share investors who also want to invest in the C shares. 5. What is the expansion fee to join the league? PJW: The entry fee is relatively low, six figures, for the first season. It is anticipated to rise in the second group of investors. Initial year teams will be paying less than second year or third year teams. That is partially because we recognize some costs like travel will be higher in the first year due to the lower number of teams and single conference format. So we are offsetting that expense for those early teams. But, candidly, it is also to recognize the advantage that should go to those who commit first. We will be taking applications for 2018 through August of this year. The entry fee, along with the C shares, is meant as a way to support the league front office to make sure we have a strong and deep staff to help the clubs. The entry fee is not going into someone’s pocket. We are able to keep it to six figures because of that. Over time, as the annual dues become more significant due to the larger number of teams, the entry fees will be used to pay back the people who invested in Class C shares. Class A shareholders will have the opportunity to see a return on their investment when they sell their teams or take on new investors at a higher valuation down the road. 6. What will your role be in relation to the league – will you be the commissioner or in more of an advisory role? PJW: Nothing official is being announced right now. However, I plan to have a leadership role in the league and will likely be Commissioner. Jack will likely be the EVP and General Counsel. . At this point our focus is on shepherding the league to a successful creation and launch. 7. How will NISA compare to and contrast with NASL and USL? PJW: In general i believe NISA will complement NASL (and NPSL) and offer an attractive alternative to the restrictive governance, ownership and vision of the USL The USL’s league office is very centralized and broad. I think NISA’s league office will also be broad and deep in quality. There are aspects of the NASL’s independence for its clubs that will be very similar in NISA. However, there will be some elements of NISA, which will have important commercial distinctions from the NASL in terms of league wide sponsorship. Also, as a newer league, we have an opportunity to take a fresher look at national broadcast rights as well. With respect to the USL, we expect to have a fundamentally different league. First, we (meaning Jack and I) will not own the league nor will we control it. That will be up to the owners. Second, our payment and distribution model will be different in that teams will share in the revenues that will eventually be created by franchise fees and league-wide sponsorship and broadcast. These are incredibly important to NISA team owners. I think we could grow faster than the DII leagues over the next few years. There is slower growth for the second division because of the higher budgets required relative to a third division. There is the potential that NISA could fully populate at 24 teams before NASL can populate to its goal of 20 teams. So NISA can work as an incubator of sorts for the NASL, at first, before promotion and relegation. A team could play for 2 or 3 years in NISA, then join NASL via expansion. This would allow those teams to get their feet under them from a business standpoint. They can build their fan base and revenue model while operating at a lower budget. 8. You’ve famously launched several very successful pro soccer clubs. What measures are you putting in place to help the clubs who join NISA be successful? PJW: In terms of setting clubs up for success, we have built proformas for teams that want to operate at a low tier budget, a moderate tier budget and a high tier budget regarding the major expense categories of travel, labor, venue and administrative costs, to show what it is going to take. Even though many of the potential investors currently operate teams, we want to show them what it is going to take to get to breakeven on a revenue and expense side at a full season, professional level. Operating expenses can be as low as $1.5M per year, whereas a higher end budget for this league is $3.0M per year. We believe the lower end model can be successful for clubs that can sell 3000 tickets per game and be moderately successful with corporate sponsorships. At the lower end budget, you will need to sell 3000 tickets per game over 15 home matches at an average price of $16 per ticket. That would generate $750,000 in ticket sales revenues. The other major revenue category will be corporate sponsorships, which you would need to get around $800,000 revenue from. There will also be some additional revenues from ancillary stadium sales, merchandise and soccer camps that should add up to about $300,000. So on the low end, you could have revenues of about $1.8M against expenses around $1.5M. If you are going to operate at a higher budget, teams will need 4000 to 5000 in ticket sales per match, and sponsorship would need to be between $1 million to $1.5 million to break even operationally. Average ticket price will be variable based on market, but this gives a general sense of the business challenge and opportunity in NISA. We will have best practices documented for all clubs to follow. We will help with how to get support from the community leaders, and help make connections within the community. What sponsorships to sell at what price, and what types of organizations to sell them to. Club 9 Sports and Level 7 Interactive are helping establish the best practices for the teams. They will also be available to take on an advisory role and customize those best practices to an investor group’s specific market if they want to retain them for advisory services. For example, Club 9 has Steve Smith on board. Steve is a very experienced and respected ticket sales executive, most recently with the Montreal Impact. He has worked with several NBA and NHL teams. He’s a really sharp guy. Having access to someone like him is huge for the league and the individual teams. The teams will benefit from Steve’s experience and knowledge on a best practices level generally, but they can also engage him on an advisory role individually. Level 7 Interactive is run by Jon Showers, the former marketing executive with the Philadelphia Phillies, Philadelphia Eagles and TracyLocke Partnership (Omnicom). Level 7 will be working with us at a league level – they worked with the League’s brand development committee to name NISA and design the NISA logo, for example. They will also be available for the teams to hire for marketing assistance. We believe that, with support from a strong league office and expert consultants available to help, the clubs will be put in a position for success. 9. How did you come up with the name, National Independent Soccer Association? PJW: We use the word “national” because it is a good geographic descriptor. It also aligns alphabetically with the other independent leagues in this country, the NASL and NPSL. The second word, “independent” is used, because this is a league where the team owners and investors will have control over their own destiny and their franchise. “Soccer”, of course, is self-evident. Finally, “association” because it leaves us open in the future to include other leagues associated with NISA. 10. When will you seek sanctioning from USSF? PJW: We are seeking sanctioning from US Soccer this summer. US Soccer asked for a status update on the information they requested for their June 8th board of directors meeting. Their compliance officer will be reporting our update to the Board of Directors at that meeting. The report will be given by the compliance officer, not us directly. NISA will not be requesting sanctioning at this upcoming meeting. NISA will update US Soccer throughout the summer and will provide another formal update in September, with a report that will include the number of teams that have gone to the next level – submitting the entry fee and formally signing the entry documents to join the league. We want to make sure we are fully compliant with Division III standards. Right now, no professional league other than MLS is fully compliant with the standards for its division. Our goal is to be fully compliant with DIII standards and receive full sanctioning, with no waivers, at the US Soccer board meeting in September for a spring 2018 launch. 11. Are there any teams officially signed on for the league yet? PJW: The 10 letters of intent grant those investors exclusivity in their markets for a period of time. At this point, I don’t want to go into specifics into what the time period is or what the geographic markets are. The timeline for getting teams officially on board is before the September US Soccer meeting. From our discussions, we are confident we will have 8-10 teams ready for 2018. We’ve been talking to close to three dozen markets that have shown interest. A preponderance of the markets are in the midwest and eastern part of the USA. However, the interest in the league is national and ranges throughout the US. 12. USL is launching a Division III league as well. What will some of the differences be between your league and the USL’s DIII? PJW: We hope to begin in 2018 and they hope to begin in 2019. The self-governing independence of our clubs, and NISA’s intention to participate in an open promotion and relegation system are the important differences. Similar to USL, we will have a strong professional league office. Having Club 9 Sports play an advisory role is also critical. They are a collection of experienced operators, trusted advisors and skilled negotiators. They can help a lower league team find potential investors to support a professional move, educate those investors about the opportunity and bring them on board in a way where the existing owner won’t lose their influence on the team. 13. What is the most exciting thing about this project for you? PJW: I like startups no matter what – the creation of something out of nothing. However, in a lot of the teams’ cases it is not starting from nothing. In lot of these markets, there are people who have started something that they want to make bigger and better. Seeing that there is a real void in the marketplace, not just because of the lack of a Division III league, but also because there is not this type of third division league here with ownership opportunities to run it. I am excited to help craft this in a way that reflects the desires of the marketplace. After the April meeting in Chicago, we sent out a survey with 26 questions, to not only the 17 markets that were in the room, but also another dozen or so that wanted to be in the room, but were unable to attend. We sent the survey to get their input on very specific questions, not just data gathering on their markets and situations, but specifically on what they want the league to be about. That was really helpful. In most cases it validated what we had already put together based on hundreds of phone calls and meetings with them over the previous 12 months or so. Some answers were surprising, for example, on what the league’s performance bond should be. You would expect people who are going to pay the bond would want it to be lower, but they actually wanted it higher so they know their partners in the league are committed. They want to know that a team will be able to make it through the season and not fold mid-season in a case where an ownership group has issues. Overall, the best part is working with a lot of good people as a team to build something together. You can read more about NISA at its web site, NISAofficial.com. Follow NISA on Twitter at @nisaleague.